Although Google first unveiled Android P all the way back in March, releasing the new OS version as 9.0 Pie for Pixel phones in early August, the platform distribution dashboard continued to show no signs of adoption for the latest software build as of September 28. But that’s definitely about to change, as more and more devices are getting stable over-the-air Android Pie goodies. The latest handset to do just that is the Xiaomi Mi Mix 2S. Not a moment too soon, if we may say so, as a vastly improved Mi Mix 3 is officially scheduled for a formal announcement next week. The Mi Mix 2S was also one of seven phones not made by Google that had the chance to preview Android P as part of an official beta program kicked off several months ago. The Essential Phone, OnePlus 6, Nokia 7 Plus, and Sony Xperia XZ2 have already moved up to stable Pie-flavored software, so it was certainly time for the Xiaomi Mi Mix 2S to do the same. We don’t have an official changelog for this update to share with you just yet, but it’s safe to expect a fairly heavily modified version of Google’s stock UI revisions, enhancements, and feature add-ons. You’re probably looking at a bunch of proprietary MIUI 10 upgrades, as well as standard Android 9.0 stuff like Adaptive Battery, Adaptive Brightness, App Actions, Slices, intuitive gesture-based navigation, App Timers, and much more. 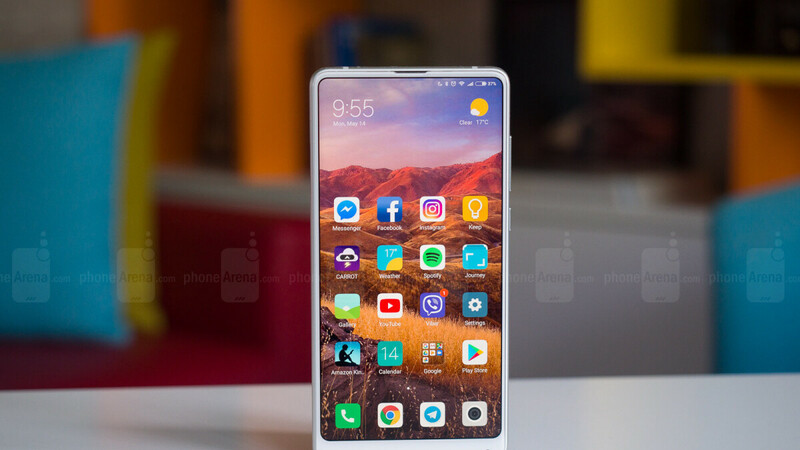 The Xiaomi Mi Mix 2S is the latest refinement of the company’s “full screen” vision, earning rave reviews around the world, and selling in the US at retailers like B&H Photo Video in Latin America variants with full LTE support for GSM networks. Oh, and the Android Pie-ready device is not very expensive either, at $485 and up right now. Woke up to the update for my Mi Mix 2S, still fast and fluid.